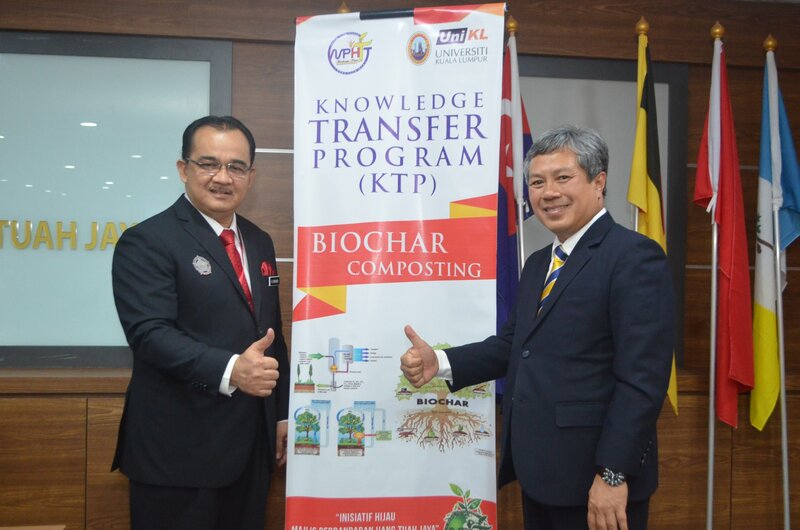 In the past decade, interest in the concept of biochar has surged internationally, as a potential means of capturing and storing atmospheric carbon, slowing down its re-release into the atmosphere. 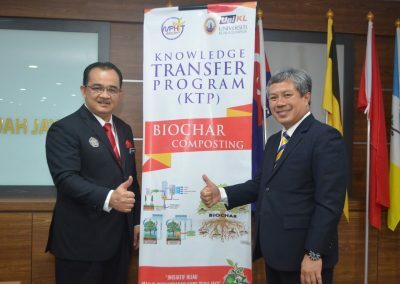 This project investigates the potential for implementation of a system for producing and applying biochar in agricultural and bioenergy sectors, and whether this would contribute to overall environmental sustainability. 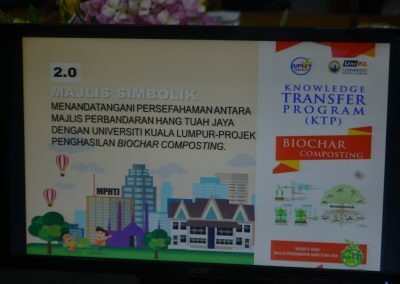 The main objective of this collaboration is to anticipate a smart partnership between Universiti Kuala Lumpur – Malaysian Institute of Chemical and Bioengineering Technology (UniKL MICET) and Majlis Perbandaran Hang Tuah Jaya (MPHTJ) that will bring benefits to both partners through new project collaborations for efficiencies and resource use optimization. This collaboration also designed to enhance the creation of partnerships between, public, private and academic institutions. 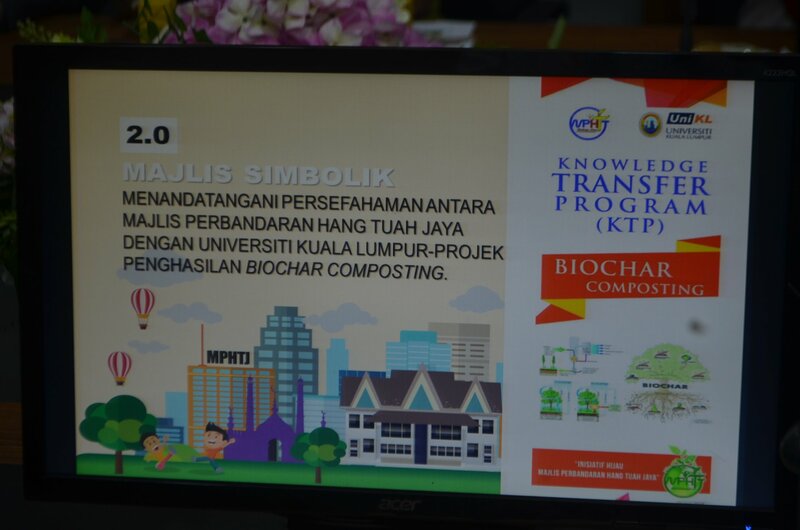 The duration of the project is 6 months supported by Low Carbon City Action Plan grant. The team consist Dr Nadia Razali, Assoc Prof Dr Robert T Bachmann, Dr Amelia Md Som, Dr Sabrina Karim and Ms. Khairul Nadiah Ibrahim. 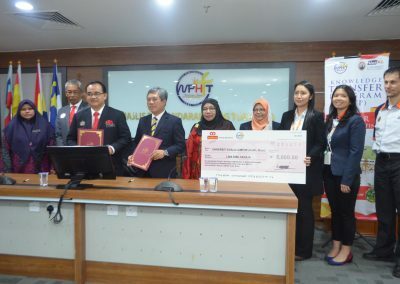 The signing ceremony was held on 27 February 2018 at MPHTJ Office, Melaka Mall. 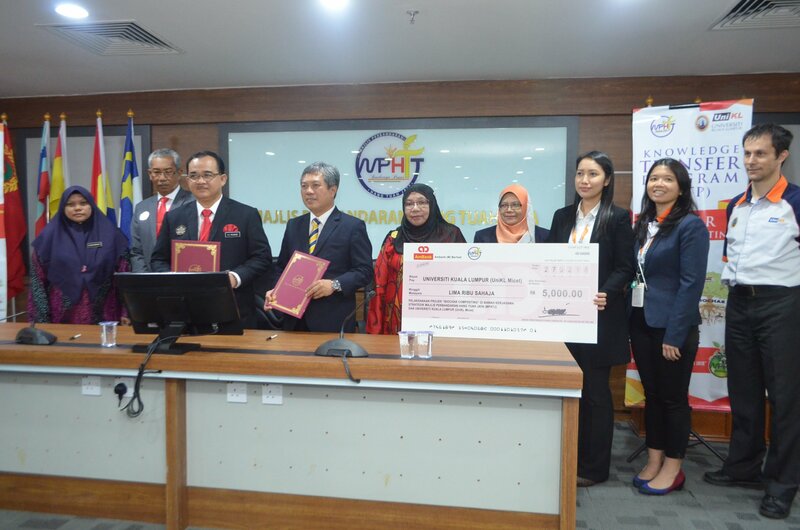 UniKL President, Prof Dato’ Dr. Mazlihan Mohd Suud signed the agreement on UniKl’s behalf and MPHTJ was represented by MPHTJ YDP Datuk Hj. Murad Husin.